Backpacks- a simple concept. The the challenge though, is finding a backpack that will have your back, when it comes to your specific needs and style. Dakine is a company that prides themselves on making problem solving products with consumers in mine. Not only that, they care about our environment, making many backpacks from recycled material. 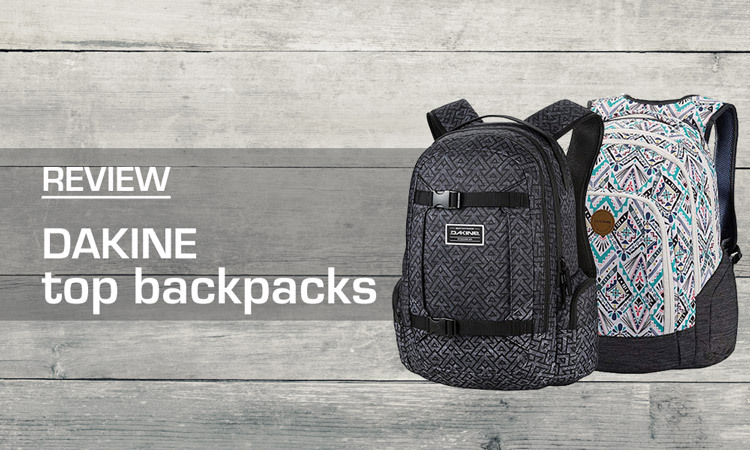 So whether it’s a neutral classic backpack, or one with a more unique flare, Dakine has your back. Function meets fashion with our top 7 Dakine backpack review. With over 400 Amazon reviews at 4.5 stars, this is a spacious backpack with a 25 L or 33 L size option. It’s an excellent bag for students and professionals. This attractive backpack makes it easy to stay organized. A roomy main compartment is spacious for school or business supplies. Along with that there is a padded laptop compartment that can house a 14″ laptop in the 25 L size, or a 15″ in the 33 L size. A fleece lined pocket is provided on the top exterior of that bag, especially fit for sunglasses. My absolute favorite feature is the ever handy insulated cooler pack pocket. You can pack your lunch without having to bring a separate lunch box. 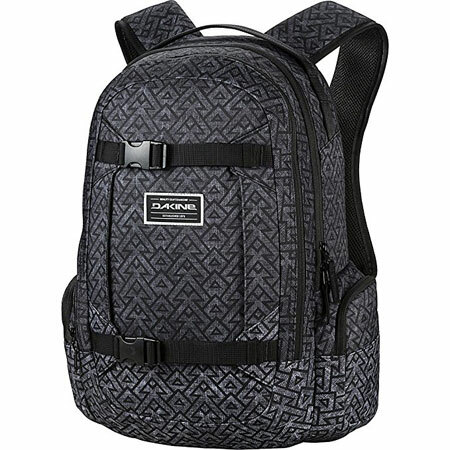 The Dakine Campus Lifestyle Backpack is available on Amazon in 40 different color/pattern options, at around only $50 depending on the sale and size. This medium sized backpack is lightweight and durable. With over 30 different beautiful patterns and colors, there is a design for all ladies and young women alike. 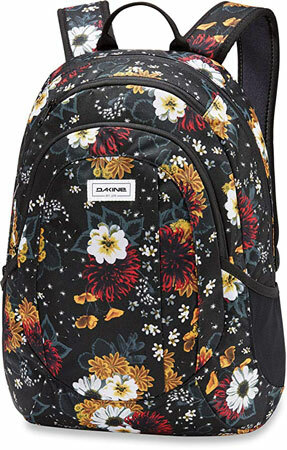 The Dakine Garden Women’s Backpack comes with a padded laptop sleeve that fits most 14″ laptops. On the exterior there is a fleece lined sunglass pocket, organizer pocket and a front zippered pocket. It’s also equipped with expandable mesh side pockets for a drink or umbrella. The Dakine Garden Women’s Backpack can be found on Amazon and is a great backpack for a student or traveler, with designs that appeal to wide age range. There is also a matching lunch box, that’s sold separately. Stealth, low profile and versatile, this business minded backpack is excellent for professionals and students alike. The clean design is simplistic and stylish, while offering plenty of room for your tech. This is a comfortable backpack that offers an ergonomic foam back panel and shoulder straps with breathable air mesh. Made with your teach in mind there is a padded laptop sleeve that fits up to a 17″ laptop, a fleece lined padded iPad sleeve, and a extra laptop stylus pad or document sleeve. Looking very professional, the design is tasteful and clean, fit for business, travel, or school. The Dakine Network II Pack is available on Amazon. Stylish and spacious, this women’s backpack delivers. Whether your off to school, the office, or just need a great everyday backpack that Dakine Jewel Backpack is a jewel indeed. This attractive looking backpack is another women’s backpack from Dakine that is stylish and makes it easy to stay organized. A roomy main compartment is spacious for school or business supplies. Along with that there is a padded laptop compartment that can house a 14″ laptop. Again a fleece lined sunglass pocket is provided and expandable side pockets. 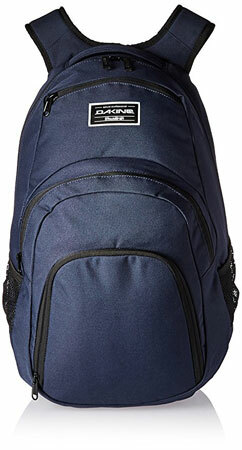 Like the Dakine Campus Lifestyle Backpack there is a handy insulated cooler pack pocket. One user fit 4 cans of soda in the cooler pocket! 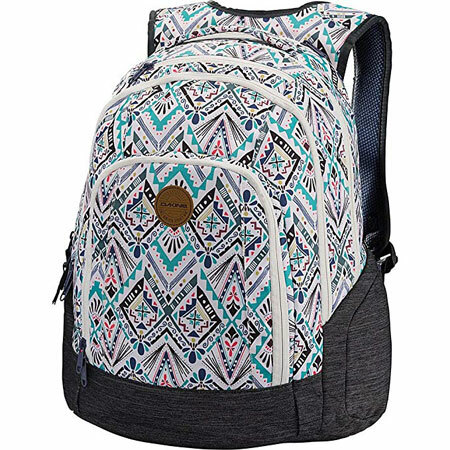 The Dakine Women’s Jewel Backpack can be found on Amazon in over 30 different color/pattern options, I’m a fan. Carrying a heavy load is made simple with Dakine’s adjustable sternum straps. The external carry straps even allow you to tote a skateboard. 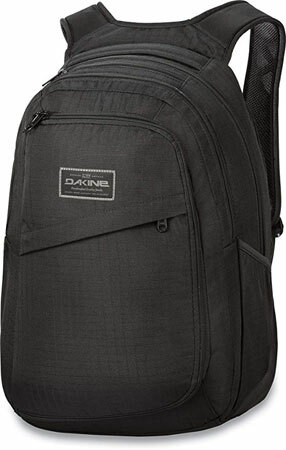 Dakine’s Duel 26L backpack has an external access padded sleeve that protects your laptop of up to 15”. The Duel also features a fleece sleeve for your tablet. Adjustable sternum straps and external carry straps make easy work of carrying a skateboard or jacket. Perfect for keeping your lunch, beverages, or snacks crisp and cool, the insulated cooler pocket fabricated into the front of the backpack located to provide easy access. This backpack also contains a fleece-lined sunglasses pocket. Made from high-quality 600D polyester, the Dakine Duel 26L Backpack is available on Amazon also comes with a limited lifetime warranty. 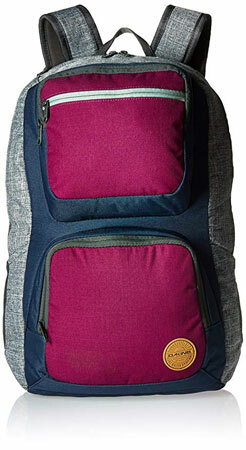 Whether your jetting off to school, work, or out to play, the Dakine Frankie backpack is a stylish and functional bag. This compact, durable and lightweight polyester backpack for women features a multi-compartment design and is available in several colors and patterns. This bag offers plenty of space and organization options for all your gear and devices. A rear, side-access, fleece-lined laptop computer compartment and a zippered compartment with a padded iPad sleeve keeps all your tech easy to reach and protected. A water bottle pocket helps you stay cool and refreshed throughout the day, and a soft fleece-lined pocket protects your eye-wear. It also has a padded bottom panel and a breathable DriMesh back panel plus adjustable shoulder straps for your carrying comfort. 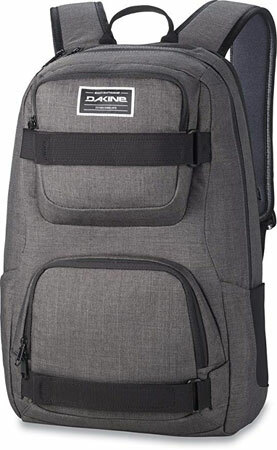 Just a click away the Dakine Frankie Laptop Backpack can be found on Amazon. Whether your mission is the mountains or the streets, The Dakine Mission backpack is an excellent travel companion. With a capacity of 25 litres, there is certainly ample interior space for all the stuff you might want to tote up to the park, the peaks, or the office. This bag fit for any mission has vertical board carrying straps allow you to secure your ride and free up both hands when hiking. Straps at the sternum and waist help to spread the weight evenly. The shoulder straps and areas of the back panel are adequately padded for comfort on the move. The Dakine Mission Backpack is available in about 14 different colors and patterns on Amazon. This is an excellent bag for active guys and girls.